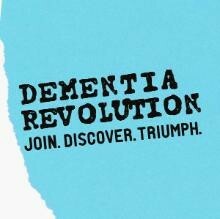 Hi, I am running the London Marathon on April 28th to raise money for Dementia Revolution. 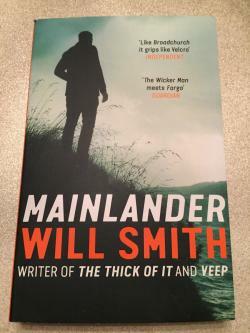 Some of my favourite writers and comedians have generously donated signed merchandise and one of items to help me achieve my fundraising target of £1000. Close. 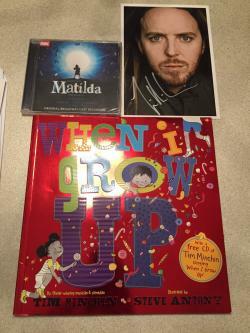 When I Grow Up childrens book with CD. Matilda the Musical Live CD. Signed photograph of Tim Minchin. 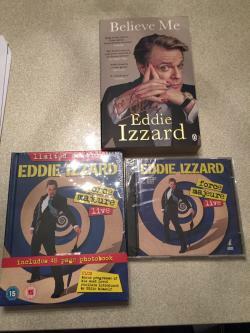 Signed copy of Eddie Izzard book 'Believe Me'. Force Majeure Limited Edition Live DVD & Force Majeure Live CD both brand new and sealed. Nina Conti signed photograph plus live DVD. 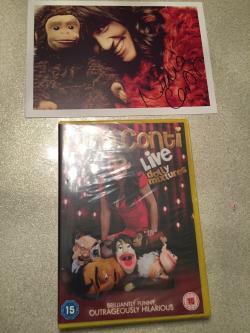 Signed photograph of Nina Conti and and brand new and sealed live Nina Conti DVD. Peep Show Series 7 Episode 3 orignal script signed by the writer Simon Blackwell. 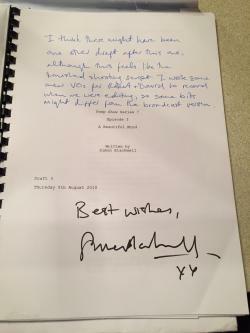 This was the script used for the episode and is highly rare and collectable. 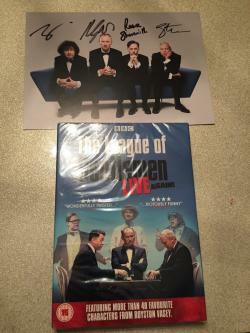 Signed photograph of the League of Gentlemen and a brand new and sealed copy of the League of Gentlemen Live Again DVD. 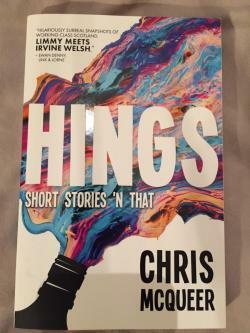 Signed copy of Christopher McQueer's acclaimed short story collection 'Hings'. A signed photograph of Rowan Atkinson. 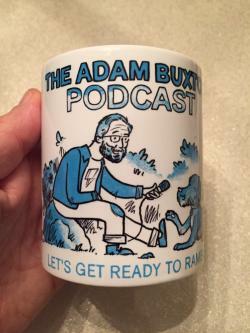 Adam Buxton signed mug, CD and t-shirt. This contains a signed Adam Buxton podcast mug, podcast t-shirt and Song Wars Vol 2 CD signed by both Adam and Joe Cornish. 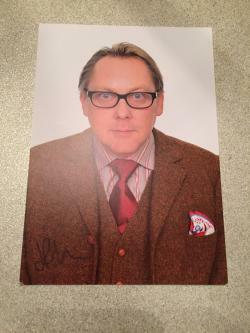 A signed photograph of comedy legend Mr Vic Reeves. 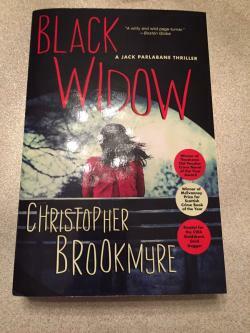 Signed copy of Black Widow, the acclaimed and prize winning crime by Scottish author Christopher Brookmyre.